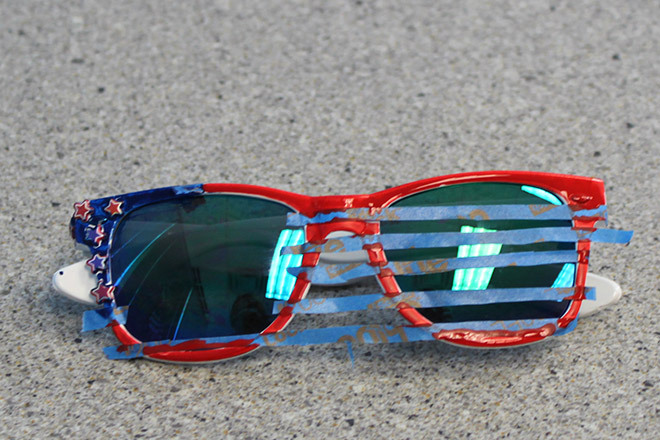 This Fourth of July, we’re determined to see and be seen in nothing but stars and stripes! 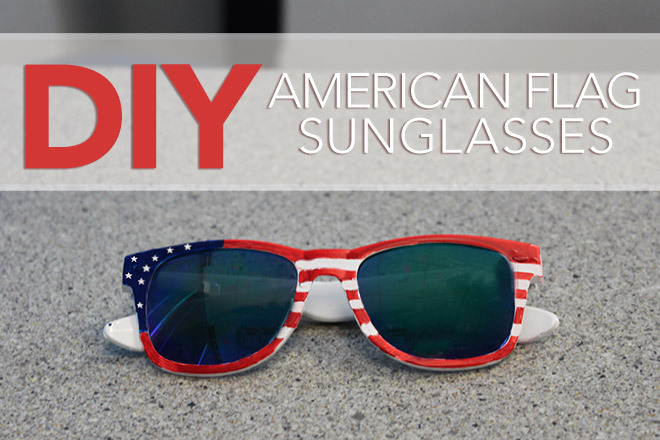 We’ve already DIY-ed our way into a star-spangled tank, but no Independence Day outfit would be complete without a pair of American flag sunglasses! 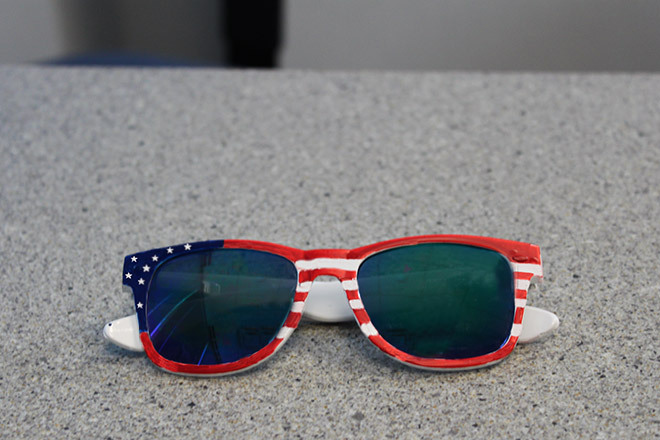 Since we’re feeling crafty, we decided to craft our own stars and stripes shades, inspired by a couple of Sunglass Warehouse’s most patriotic pairs. 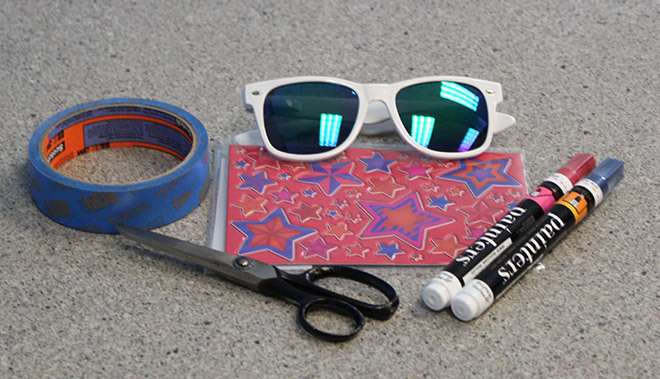 Start by placing the star stickers around the upper left corner of the sunglass frame. Next, cut thin strips of painter’s tape and apply them to the remainder of the frame, spacing them out equally. 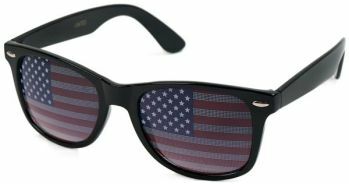 These will become the white stripes of your American flag design. 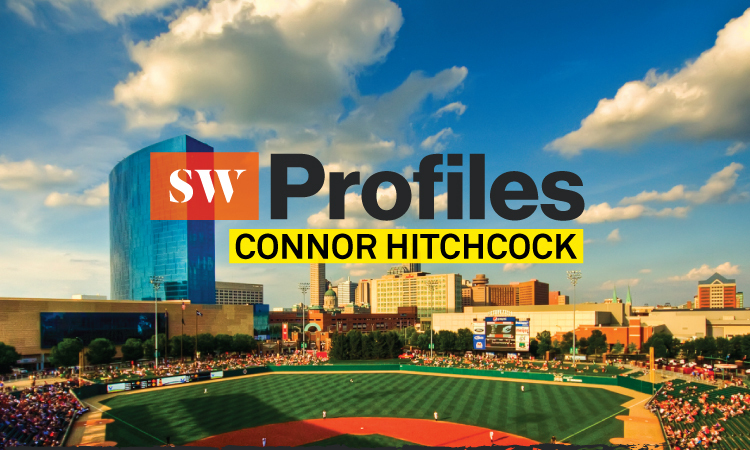 Using paint pens or Sharpies, color in all open spaces on the front of the frame. 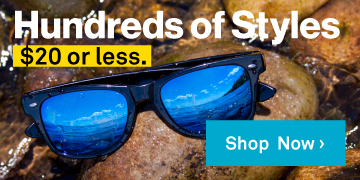 The upper left corner of the frame, where you have stuck the stars, should be colored blue. Everything else should be colored red. 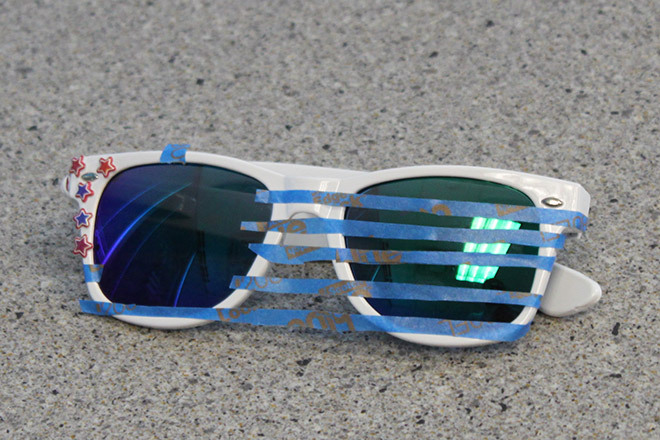 Once the paint has dried, remove all stickers and peel off the tape to reveal your red, white, and blue-tiful new shades!